The Society shall be called ‘The Winchester and Portsmouth Diocesan Guild of Church Bell Ringers’ (hereinafter called ‘The Guild’). promoting in co-operation with incumbents an appreciation and observation of the tower as part of God’s House. the recognition of the position of ringers as church workers. encouragement of ringing for Divine Service, cultivation of change ringing and the preservation of the church bells in an efficient condition. The Guild shall consist of Patrons, Presidents, Vice-Presidents and Members. The following shall be appointed ex-officio:- Patrons: The Very Rev The Dean of Winchester, The Very Rev The Dean of Portsmouth; Presidents: The Right Rev The Lord Bishop of Winchester, The Right Rev The Lord Bishop of Portsmouth; Vice-Presidents: The Right Rev The Suffragan Bishop of Southampton, The Right Rev The Suffragan Bishop of Basingstoke, The Very Rev The Dean of Guernsey, The Very Rev The Dean of Jersey, The Venerable the Archdeacons of Winchester, Portsdown, Bournemouth, The Meon and The Isle of Wight. The Diocesan areas shall be divided into Districts, each being self-administered. The Guild shall be affiliated to the Central Council of Church Bell Ringers and shall observe its rules and decisions. Representatives thereto shall be elected for a triennial period in accordance with the constitution of the Council. The Guild may pay fares and reasonable out of pocket expenses for not more than three days to its representatives attending the meetings of the Council. Representatives shall make a report of the proceedings to the next Annual General Meeting of the Guild. The administration of the Guild shall be vested in an Executive Committee (of whom seven shall form a quorum) consisting of: the Master (Chairman), Vice-Master, immediate Past Master, Honorary General Secretary, Honorary Treasurer, Honorary Recorder of Peals, Honorary Librarian and Archivist, Honorary Report Editor, Minute Secretary, Public Relations Officer, Child Protection Officer, Central Council Representatives, the Trustees of the Bell Restoration Fund, the Convenors of committees, and District Representatives (who shall normally include the District Secretaries or their proxies) to be elected by the annual District meetings. Districts with more than 100 members (associate and ringing) may send one additional representative. The Executive Committee has the authority to co-opt members on to the committee for special purposes, delegate any of its duties to sub-committee(s) or co-opted members and fill any vacancies arising among officers until the next General Meeting qualified to elect officers. The Executive Committee shall meet at least once annually. Reasonable expenses of members attending meetings of the Executive Committee may be defrayed by the Guild. A General Meeting of the Guild shall be held annually in each of the following Districts in turn: District 1 Andover, District 2 Portsmouth, District 3 Winchester, District 4 Christchurch and Southampton, District 5 Basingstoke, District 6 Isle of Wight, District 7 Alton and Petersfield, District 8 Channel Islands, to receive reports, a statement of accounts and applications for grants, to fix the place and date of the next Annual General Meeting and to transact any other Guild business. Every third year to elect a Master, Vice-Master, Honorary Secretary, Honorary Treasurer, Honorary Recorder of Peals, Honorary Librarian and Archivist, Honorary Report Editor, Minute Secretary, Public Relations Officer, Child Protection Officer, Honorary Independent Examiner and Central Council Representatives. Officers elected shall remain members of the Administration (Rule 4) ex-officio for a period of three years when, with the exception of the Master and Vice-Master, they will remain eligible for re-election. The Master and Vice-Master will remain eligible for re-election unless they have previously been re-elected. The election of an officer(s) to fill a vacancy (Rule 4) must be confirmed at the next General Meeting of the Guild. A Special General Meeting may be called at any time upon a request to the Hon General Secretary, signed by either the Presidents, the Master or not less than twenty ringing members of the Guild. The Secretary shall give three weeks’ notice to the Guild of Special General Meetings, by posting to each local secretary, for display in the towers, particulars of the business. Ringing membership shall be open to those ringers who normally reside within, or ring at towers within, the two diocese, and any ringer from outside the two diocese who wishes to be a full member of the Guild. Life membership shall be conferred upon those who have completed 50 years ringing or associate membership of the Guild. The Executive Committee may also recommend any individual for election to life membership at an Annual General Meeting of the Guild in recognition of their services to the Guild. Associate membership shall be open to non-ringers who wish to be associated with and support the objects and activities of the Guild. Compounding membership shall be open to those ringers who reside outside the two diocese and who do not normally ring at a tower within the diocese. Compounding members shall have no vote at meetings of the Guild and shall not propose or second a belfry election. Probationary membership shall be open to those learning to ring at a tower within the two diocese. Probationary members shall have no vote at meetings of the Guild, nor be eligible to hold any District or Guild office. All classes of member, with the exception of life members, may be elected at any District meeting. Life members may only be elected at a General Meeting of the Guild. Members may also be elected prior to a peal which is intended to be rung by the Guild, provided that at least half the band are already life and/or ringing and/or compounding members who have transferred from ringing membership, and subject to the peal being successful and the election being confirmed at the next meeting of the District in which the election took place. In the case of an election prior to a peal outside the Guild area, the election may be confirmed at the next meeting of any District. Probationary members may also be elected at any tower within the two diocese, by two or more Guild members other than probationary members, and subject to confirmation at the next meeting of the District in which the election took place. The Executive Committee shall have the power to veto any election, or to dismiss a member for misconduct; but the person concerned shall have the right of appeal to the next Annual General Meeting of the Guild. In the event of a dismissal, such members shall be debarred from further re-election for such period as the Executive Committee may determine, unless reinstated at the Annual General Meeting of the Guild. On election, new members (excluding probationary and compounding members) shall be supplied with a copy of the current annual report (if available) free of charge. A proportion of each subscription shall be allocated to one or more ringing-related charities. The amount of the subscription and proportion allocated to each ringing-related charity for each class of membership shall be determined from time to time at the Annual General Meeting of the Guild, or at a Special General Meeting called for the purpose, and published in the Guild’s annual report. Any increase in subscription or alteration in the proportion allocated to each ringing-related charity shall take effect immediately following the meeting at which it was made. Members are appointed to the committees enumerated in paragraph b. of this rule at the General Meeting two years after the meeting at which the officers are elected. Members are appointed for three years and are eligible for reappointment. Notwithstanding the note in rule 24 concerning when an alteration to the rules becomes operative, a new committee shall be appointed at the meeting at which the committee is added to those enumerated in paragraph b. of this rule. The Guild may at any time dissolve a committee or alter its membership. Each committee shall appoint a convenor and shall report annually to the Guild. Each committee shall have the power to co-opt further members. Reasonable expenses may be paid. Belfry Stewardship Committee. To give advice about bells and their fittings in any Guild tower; to inspect and report on all completed bell restoration works subject to grants from the Guild Bell Restoration Fund, and to continue the work of the Guild’s Bell Stock Survey. Communications Committee. To enhance communication within the Guild by maintaining and developing the Guild website as the hub of news and information, maintain and develop the e-mail lists and social media presence and connect to the wider bell ringing community. Education Committee. To improve members’ ringing abilities and confidence in all practical and theoretical aspects of bell handling and method ringing. Striking Competitions Committee. To encourage improvement in striking across the Guild, through friendly and social competition, both between individual towers and Districts. Ringing Schools Committee. To teach members bell-handling to a good and safe standard. Each tower in the Guild area, regardless of whether it has Guild members in its band or not, shall be deemed to be ‘in union’ with the Guild. Each tower in the Guild shall appoint a local secretary, who will be responsible for conducting such correspondence as required, rendering an annual report to the District Secretary and collecting subscriptions from Guild members for transfer to the District Treasurer. No tower shall be transferred from one District to another without the consent of the majority of ringers of the tower concerned and of the Annual General Meeting of the Guild. In each District a Chairman, Ringing Master, District Treasurer and Honorary Secretary shall be elected and such other officers as the District may determine. An Annual Meeting shall be held in each District as early in each year as is practicable, but not later than 21st February, to receive reports and statements of accounts, to transact any other business, including fixing the date and place of the next Annual District Meeting, and at least every third year elect District officers. Such other District meetings may be held as decided by the members, practice meetings being encouraged. Only members of a District may vote in the business of that District. Each District Treasurer shall receive ALL subscriptions of members in his District, pay from the funds all the expenses of the District, and at the end of the year prepare a balance sheet which shall be independently examined and, after presentation to the Annual District Meeting, forwarded to the Honorary Treasurer of the Guild not later than 28th February, together with the proportion of the subscriptions due to the Central Fund and Guild Bell Restoration Fund (Rule 17). District funds may only be expended for administration and for such purposes as are sanctioned by these rules or by a General Meeting of the District concerned. First charge on District funds after administration shall be for instruction (whenever possible) in change ringing. If District funds prove insufficient for this charge, the deficiency may be met in whole or part by a contribution from the Central Fund. The instructor(s) may claim travelling expenses and any other out of pocket expenses. Seventy per cent (fifty per cent from the Channel Islands District) of all subscriptions, excluding the proportion allocated to the Guild Bell Restoration Fund, shall be allocated to a Central Fund for the general administration and expenses of the Guild and for any other purpose that the members in General Meeting may direct. The Honorary Treasurer shall receive, not later than 28th February, all monies due to the Central Fund and Guild Bell Restoration Fund and shall be empowered to disburse all accounts properly incurred in the central administration of the Guild, either in cash payments or by cheques drawn on the Guild current banking account, which cheques he shall be authorised to draw. He shall maintain a statement of central accounts. The remaining thirty per cent of subscriptions, excluding the proportion allocated to the Guild Bell Restoration Fund, shall be retained by the Districts, except in the case of the Channel Islands District where fifty per cent is retained, for the purposes of meeting expenses of the Districts incurred under these rules. If there be any deficiency in the Central Fund, the Annual General Meeting of the Guild may, by resolution, require the Districts to meet the deficiency in proportion to the amount of each District’s receipts retained that year. At any time during the year the Executive Committee may, if necessary, direct the District Treasurers to pay over to the Central Fund all, or part of, the proportion of subscriptions actually received and due to the fund. Districts are requested to compile a list of instructors who are willing to assist towers (Rule 16). The Honorary Librarian and Archivist shall be responsible for the safe keeping of the Guild library and any other property acquired by the Guild unless other arrangements are made by the Executive Committee. He shall maintain an inventory of such books and property and shall render annually a report to the Executive Committee. Local secretaries shall forward an annual report on the activities of their tower to their District Secretary not later than 4th January of the following year. Each year the Honorary Report Editor of the Guild will issue a questionnaire to each District Secretary for completion. District Secretaries shall forward the completed questionnaires and an annual report on the activities of their District to the Honorary Report Editor for publication, not later than 28th February. Funds permitting, an annual report shall be published, the contents of which shall be at the discretion of the Executive Committee. A copy will be supplied free to all life, ringing and associate members who have requested a copy. District Secretaries or District Treasurers will ask local secretaries how many of their members would like a copy of the report and shall forward the number required by the District to the Honorary Report Editor not later than 28th February. Peals which are to be recognised by the Guild and have their details published in the annual report must be rung by bands composed entirely of members of the Guild other than probationary members, at least half of whom must be life and/or ringing members and/or compounding members who have transferred from ringing membership. An account of each peal including details of compositions on seven bells and above, together with the peal fee for each ringer participating, shall be sent to the Honorary Recorder of Peals within one month of the peal being rung. If the above conditions are not fulfilled, the peal shall not be recognised by the Guild, nor its details published in the annual report, excepting that the Annual General Meeting of the Guild shall be able to recognise such peals in exceptional circumstances. At the end of each calendar year, the income from peal fees shall be transferred to the Guild Bell Restoration Fund and to the General Fund (towards the cost of printing details of peals in the annual report). The amount of the peal fees and the proportions transferred to the Bell Restoration and General Funds shall be determined from time to time by the Annual Meeting of the Guild, or a Special General Meeting of the Guild called for the purpose and published in the annual report. Any alteration in the amount of fees and proportions in which they are transferred to the General and Bell Restoration Funds shall take effect on the following 1st January. The Guild may accept responsibility for any damage done by members to the bells, etc. in any tower in which a meeting of the Guild is being held. In such circumstances the officers of the District concerned are empowered to take steps to make good the damage which shall be a charge on the District concerned. In the case of a General Meeting of the Guild, the Master, Honorary Secretary and Honorary Treasurer will take the necessary action and make a charge on the Central Fund. In the event of either: (a) redundant bells coming into the possession of the Guild or (b) the advice of the Guild being sought on the disposal or movement of redundant bells, the Trustees of the Bell Restoration Fund shall be empowered to decide upon the disposition of such bells or offer such advice as they feel is appropriate. Where possible, such decisions or advice shall be subject to confirmation by the Guild Executive or Annual General Meeting of the Guild. No alteration or addition to the above rules may be made except at a General Meeting of the Guild or Special Meeting called for the purpose, when the number of eligible members voting in favour must be at least 20 and double those voting against the proposal. Notice of any such proposed alteration or addition must be given in writing, at least two months before the date of the meeting, to the Honorary General Secretary of the Guild who shall inform all tower secretaries of the Guild of this proposal at least one month before the aforesaid meeting. Any alteration or addition to the rules shall become operative on the following 1st January. The fund shall be known as the Winchester and Portsmouth Diocesan Guild of Church Bell Ringers Bell Restoration Fund. The fund shall be registered as a charity. The object of this fund shall be to provide financial assistance by way of grants to Churches, within the Diocese of Winchester and Portsmouth, incurring expenditure on the provision, maintenance, improvement or acoustics of their bells and bell installations, or for the maintenance of the fabric of their towers and belfries, to enable their bells to be properly rung in full circle. References to ‘the Guild’ shall mean the Winchester and Portsmouth Diocesan Guild of Church Bell Ringers. References to ‘the Executive Committee’ shall mean the Executive Committee of the Guild. 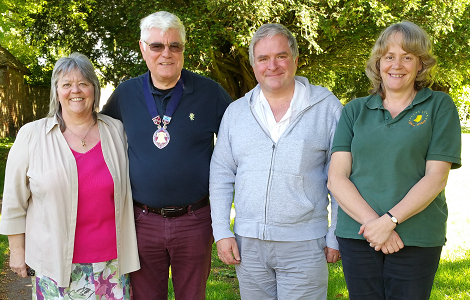 The Trustees of the fund, referred to hereinafter as ‘the Trustees’, shall be the Master, the Honorary General Secretary and the Honorary General Treasurer of the Guild, and two Trustees, one from each Diocese, elected triennially by the Annual General Meeting of the Guild. The Honorary Independent Examiner of the fund shall be the Honorary Independent Examiner for the time being of the Guild. The fund shall be administered by the Trustees. An application for or proposal to make a grant from this fund shall be considered only at a General Meeting of the Guild or at a meeting of the Executive Committee, provided at least two months notice in writing has been given of such application or proposal to the Honorary General Secretary. Following notice duly given, the Trustees shall consider such applications or proposals and shall make recommendations to the meeting of the Guild or Executive Committee at which the application or proposal shall be discussed. Grants shall be made from this fund only for the purposes outlined in the objectives in rule 3 above. A grant may be made, subject to the requirements of rule 8a above, if approved by two-thirds or more of those members of the Guild present and voting at a General Meeting of the Guild or at a meeting of the Executive Committee. To be eligible to vote on such matters, members must fulfil the requirements of the Guild on voting. The Trustees shall inform the Guild of any grants approved at a meeting of the Executive Committee at the next General Meeting of the Guild. Following such approval a grant shall be made, except that the Trustees shall be given absolute discretion to reduce, but not to increase, a grant, in the exceptional circumstances that they unanimously feel it in the interests of the fund and of the Guild to do so. They shall inform the Guild of any such action at the next General Meeting of the Guild. Any payments drawn on this fund under rule 8 above, or required under rule 11 below, shall be made over the signature of the Honorary General Treasurer for the time being and one other Trustee of the fund. No payment shall be made until the work is satisfactorily completed. All administrative and other expenses incurred in respect of the fund other than those specifically relating to the acquisition and realisation of investments shall be borne by the Guild. The Honorary General Treasurer shall prepare accounts, consisting of a balance sheet at 31st December each year, and an income and expenditure account for the year ending on that date. These accounts shall be presented to the Independent Examiner of the fund who shall satisfy himself as to the correctness thereof. These accounts, duly independently examined, shall be submitted for approval to the Annual General Meeting of the Guild next after the 31st December to which the accounts of the fund have been prepared. The Trustees acting together shall have the power to invest or otherwise deal with the assets of the fund and such sums as the members of the Guild shall contribute or from time to time decide to transfer to the fund, in such manner as they think fit in the best interests of the fund. To the Cathedrals of Winchester and Portsmouth for the religious and charitable purposes of the said Cathedrals. In the event of the Guild becoming defunct, it shall be allowed for the Registrar of Charities after five years non-working of the fund to cause it to be dissolved and its assets applied as under rule 12 a ii. No amendment of, addition to, or deletion from these Rules shall be made which would cause the fund at any time to cease to be a charity in law. No alteration or addition to the above Rules may be made except at a General Meeting of the Guild, or Special Meeting called for the purpose, when the number of eligible members voting in favour must be at least 20 and double those voting against the proposal. Notice of any such proposed alteration or addition must be given in writing at least two months before the date of the meeting to the Honorary General Secretary of the Guild, who shall inform all Tower Secretaries of the Guild of this proposal at least one month before the aforesaid meeting. As the Guild seeks a new Secretary, Mo Routh Reflects on the rewards of her 3 years in the role. I suspect I don’t think it particularly hard work, as I take pleasure in being organised and doing a job well. I also like being in the loop with planning and decision making! I think payback is the knowledge that I’ve done a good job, to the best of my ability, along with assisting others who are perhaps less experienced in the ‘Ways of the Guild’ (which I accept tend to the arcane!) and I hope we are gradually changing from that to a more modern approach. I also value having been able to give something back to the Guild after my 50 years of membership, although I feel sad others don’t always use the Guild structures to get out, meet ringers from other areas, learn and improve whilst enjoying the social aspects that ringing provides. I know members personally from all the districts and many of my best friends have been made through ringing and not only in my own area. However I did that before becoming secretary, so that aspect is not relevant to me, but being Guild Secretary is a useful role to encourage widening one’s friendship and acquaintance base. Re towers and districts, increasingly these are run by people who don’t know what the Guild is for, its relevance to them, what it does or how to approach it, and I hope I’ve been able to provide a friendly ear for questions and guidance in those circumstances. Do you appreciate their work? Do you dislike their work? Or have you never heard of it? Whatever your views are about the Central Council of Church Bell Ringers, Our W&P Guild has the honour of hosting its AGM in Portsmouth over the weekend of 27th-30th May 2016. Each year a Guild is chosen to receive members of the CC and this year they will be coming to Hampshire from across the world to enjoy a packed weekend of activities and meetings. Have a look at the details at the event page wpbells.org/cc2016/ – and if you fall in the “never heard of it” category, take a look at wpbells.org/cccbr-central-council to see what they do and who our representatives on the Council are! A small group of people have been working very hard getting everything in place for CC2016 and now we are looking to our great Guild for volunteers to do their bit and help out with the events over the weekend. Act as stewards for the meetings – there is an open meeting on Sunday 29 May 1-3pm, and the main meeting 9am-1pm and 1-5pm on Monday 30 May. For these we need people to take roving microphones round to speakers, and also on the Monday to act as tellers in any elections/votes, and to help officers etc out where needed. Go round some of the towers on the Saturday tours – making sure we are met, that ringing only takes place in the allotted times, collecting money/checking day tickets, controlling the crowds and possibly ringing to make up numbers. The towers have been split into six “helper” routes so it shouldn’t be too rushed. If we get enough helpers, it would be nice to have three or four at each tower to make sure people arriving on their own get a ring. Be on the Help Desk in the HQ Hotel at various times to welcome people and answer visitors’ queries. As you can see there is nothing complicated, we just need as many people as possible from our Guild helping and showing the world how supportive and lovely our ringers are. If you can help in any way, or want to know a bit more please email cc2016@wp-ringers.org.uk or give Christine a ring on 01794 518068. – additional members were elected to the Belfry Stewardship & Communications. – the Master mentioned her meetings with Christine Hill, the Bishop of Winchester and the Dean of Portsmouth Cathedral; and that her Spinnaker Tower Abseil raised £400 : £200 each for Ropley & Ecchinswell. We do realise that many members are working very hard indeed already – thank you to all. We do believe it’s essential we understand that potential volunteers need to know where we’re heading as a Guild, that any further input they might offer is appreciated and effective. None of us wish to invest our personal and precious time if it is to be wasted or not appreciated. If volunteers enjoy what they do, hopefully that will be rewarding and will result in their continuing to help us. Since the Action Plan was agreed at the July 2015 A.G.M., we are well underway with the work of the newly formed committees. There has been a great leap forward in Communications..we will hear more about the new website from Ros Martin later on in this meeting. Before leaving Communications here, I would like to formally record our immense thanks and gratitude to all three Communications Committee members that retired in July – David Forder, Rosemary Oakeshott and Ian McCallion. They not only worked extremely hard for the Guild over many years but they continue to offer their help, expertise and advice to the new Communications Committee and the Principal Officers to effect a smooth transition; it’s all very much appreciated. Thank you. Guild Education Days, each covering a specific subject, are designed to help students to enjoy their ringing, and to learn in a friendly, relaxed, but concentrated environment. They are a mixture of theory and practice, the latter being geared to each student’s needs. Students are divided into small groups, led by Group Leaders who will know what students can do, and what they are aiming at; students won’t be pushed into attempting the impossible, but they will be encouraged to try things. Each group has a dedicated band of helpers so that, when students ring, they will be surrounded by helpful, friendly experts. The Guild Education Committee runs four major Education Days each year, though extra ones can be thrown in if time allows. We try to offer some basic subjects, plus something a little more challenging for the more experienced. If anyone has ideas on what they would like to do, we are happy to listen. Posters and application forms are sent through the District Secretaries to the Tower Secretaries, as well as appearing in news items on Guild website and other media. 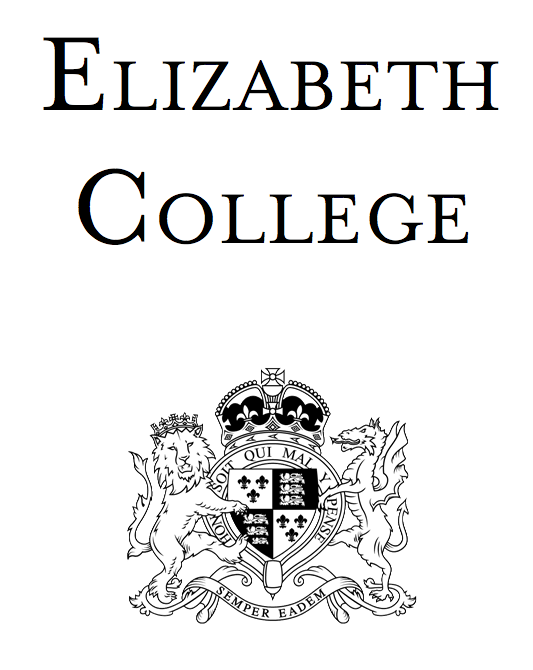 It is a great pleasure to welcome the Elizabeth College (Guernsey) band to the Guild Website. They are an active band whose request to be included in future Guild Reports, and on this website, was enthusiastically approved at the Executive’s November Meeting. Most of the activity this week has been “backstage” but solid progress has been made towards finishing the new Guild Website. Much of it is “snagging” but obviously when we go live, and ringers from outside the Guild come and have a look around, we don’t want lumps and bumps to give them the impression that the Guild is a place that tolerates shoddy workmanship! So we are changing the way ALL the photos are displayed, to solve the problem. There are over 200 tower pages, and they have to be altered individually, so this is one reason we appear to be moving slowly at the moment. We have reached “G” in the alphabet though. Onwards and Upwards. So we are moving the entire email system over into the new website in this phase, rather than leaving it until a few months’ time. It’s added about 3 weeks to the development time at this point but it will mean the retiring webmasters can have a break!!! Well deserved!!! These drive the multiple news feeds so they are really important. A lot of them were shortened forms of tower names or phrases. So, we tested using longer phrases, with spaces, and then changed all the offending ones. So we went and analysed the performance of the spam filters that have been running in candsbellringers for 3 years, worked out what the strengths and weaknesses were, and fine tuned the filters on this site. RESULT – no rubbish. At all. (the web team see a copy of all the emails you get, and all of them have been fine). … and not include it in the front page news feed. We have done that. So you have total control over where your news goes. And this one is a REAL challenge because one of the underlying philosophies of the website is that each band can have a completely bespoke page or several pages if they wish. But as part of the final pass of the tower pages before we go live, we are making sure all towers have the minimum grid of contact/ringing times/location etc, either on their single page, or on one of their pages if there is a “zone”. You said that you wanted lots of pages for your tower and surely that’s impossible? We said Absolutely we can do that! Go for it! BUT wait until after we go live (probably in the New Year) so that we can work with you to build a really nice, useable, friendly, “zone” for your information. We need to think about how the menus and news feeds will work and how we can have a bespoke zone within a consistent site. It’s a challenge, but this was the whole reason for building the site – to bring news and information into one place where people can easily find it. Most of these have to be mended individually. So it’s laborious but they matter, so it’s worth the effort. In the process, we have rationalised the names of a lot of pages to make them easier to manage, long term. And there will be other snags but…. Volunteers needed, please! We need active help if the Striking Contests are to survive and thrive. We do realise that many members are working very hard indeed already – thank you – but you might know someone that would enjoy helping us arrange the various contests? If so, please put them in touch with me for further details. We are sure there are many benefits to be had for bands entering the contest, apart from the competition element itself. The building of teams can be motivating and great fun, encourages team spirit and can help with the retention of ringers. Plans are coming on, we’re going to print with the brochure by the end of the year. Please put the date in your diary and your District Diary now because HELP will be needed from Stewards, and help manning the open towers and the Help Desk for the weekend, greet our guests, etc. The meeting discussed and approved budgets for the various committees, which were in the order of tens or a few hundred pounds. 2016 “Firsts Fortnight” for the Guild. 1st March – 15th March 2016. Please ask your District to consider choosing appropriate categories e.g. first quarter peal, first visit to another tower, first touch called. This gives a specific aim for a ringer and offers the District and Guild an opportunity to recognise individual achievements. The results can be posted on the website, of course. “W & P” peals next year! South East Region Young Ringers Striking Contest. We’ve been invited by The Guildford Diocesan Guild Young Ringers to enter a team on Saturday 2nd April at Epsom. Details to follow. We will be discussing with a number of ringers who are actively helping young ringers’ groups already with a view to a team entering from our Guild. We have registered an interest. 21st May A.M. -. Details to follow. … is here to stay and we need to use it well. All the references will lead back to the website so that’s why we’re working on it so hard. Groups are supportive and Inward Looking…. it’s a discussion group. It needs content. It’s another way of sharing information. Pictures of Children need permission but otherwise it’s a more open society and photos taken on a phone will end up of social media…. Apps – another way of learning. Smartphones are fantastic tools. All the kids in the tower are hunkered down on their phones learning the methods they will then ring. FACT people look at their phones all the time. Viv responded by saying towers can have a nominated person to “do social media” – it will help that person to become part of the team and feel useful. Tony Smith URGED all present to encourage ALL people present to encourage EVERYONE to join the list. It’s a fantastic communications tool with several hundred members. John Davey requested that information shouldn’t be limited to one medium (eg Twitter) but available across all of them. … much food for thought and feedback was sought from those present. At the AGM of the Central Council of Church Bellringers (CC) on 29 May, there was something a little bit different on the Agenda. Members were given the opportunity to participate more than usual, by taking part in group discussions with others from their regions. These discussions were wide ranging, covering the challenges they face and identifying opportunities for further cooperation with each other and the CC. The flipcharts have all been written up, the post-it notes have all been collated and this summarises the key points, ideas and recommendations. During the session, one member wrote on a post-it note “We are limping” and this seems to be a reasonable summary! The good news is that some Guilds/Associations are in good shape, having done new things to modernise, so others who are struggling more have ideas they can learn from. The most common challenges were recruitment and retention, particularly youngsters. The most common opportunities identified were a need for leadership training, plus working together more on recruiting and retaining. Overall, there are significant areas of concern and a need for urgent action. Alan from Alton and Petersfield have collated a report of quarter peals. His physical archive of reports will join the Librarian’s archive in the Hampshire Records Office and Rosalind will talk to him about formats and media suitable for the website. Future AGMs are going to clash with the RW National Youth Championships, so we will shift to accommodate. The AGM (July 2nd) will be based at New Arlesford (using Cheriton, Titchbourne, Easton as well in the Itchen Valley) to have a range of towers within easy reach. These are mostly 6 bell towers. The service has been discussed and the decision taken to maintain it and definitely hold it(and lunch) between the striking competition and the AGM. A proposal to put the stirking competition and AGM sections together with nothing in between, was rejected. John Davey proposed that Districts can be consulted about whether the running order for the day needs to change. This was accepted. Ringing World Calendar is US this year!! Plans are coming on, going to print with the brochure by the end of the year. HELP will be needed from Stewards, and help manning the open towers and the Help Desk for the weekend, greet our guests, etc. 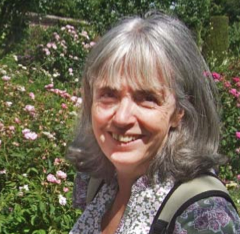 Viv commented that the organising committee (chaired by Christine Hill) is working VERY hard and thanks! Tony Smith clarified that pdf is excellent for sending a document out for printing or reading on a large screen. Printing from the web Madelaine has real problems making this work neatly!!! Rosalind will contact and help! These look like a good mechanism to use an existing publicity machine to promote ringing and find recruits. Good to have a Ride and Stride that day too perhaps? The Guild’s Public Liability Insurance (pdf) covers all paid up members of the Guild. Any queries please contact the Hon General Treasurer. Analysis and cataloguing the Guild’s archival material is a continuous process and the most presentable material is either held in the Guild Library bookcase or is lodged with the Hampshire Record Office. The Hampshire Record Office is in Sussex Streeet, Winchester, SO23 8TH (tel: 01962-846154), just opposite Winchester railway station. The HRO is part of the County Archive Research Network, and normal admission is on presentation of a CARN reader’s card. If you have one, take it with you, or take material to prove your identity so that they can issue you with one. The reference 20M94 identifies the W&P collection. I am grateful to the HRO for permission to reproduce this extract from the catalogue (for which they hold the copyright) relating to bellringing in Hampshire. The material is held in the ringing chamber of Winchester Cathedral is generally less substantial. It includes booklets, pamphlets, individual papers and press cuttings relating to specific local events and services collected for . To gain access, please contact me by email , by ‘phone on 01962 885234, or at 31 Woodgreen Road, Winchester, SO22 6LZ. The W&P Library collection contains books on the local history of parishes in the Guild, as well as a fine collection on books of interest to ringers at large. Senna has asked me to let all Guild members know the sad news that Simon passed away late last night. Senna, his husband, was with him holding his hand, and said that Simon was at rest and very peaceful. Simon and Senna have shown great courage and fortitude throughout Simon’s illness. We will miss Simon with his enthusiasm and his great sense of humour – more than words can tell. Please may I ask that we show our love and support to Senna and Simon’s family at this sad time. R.I.P. Simon, my good friend, and thank you so much for all that you’ve achieved to encourage and enhance church bell ringing throughout your all-too-short life. The Guild shall consist of Patrons, Presidents, Vice-Presidents and Members. The following shall be appointed ex-officio:-Patrons: The Very Rev The Dean of Winchester, The Very Rev The Dean of Portsmouth; Presidents: The Right Rev The Lord Bishop of Winchester, The Right Rev The Lord Bishop of Portsmouth; Vice-Presidents: The Right Rev The Suffragan Bishop of Southampton, The Right Rev The Suffragan Bishop of Basingstoke, The Very Rev The Dean of Guernsey, The Very Rev The Dean of Jersey, The Venerable the Archdeacons of Winchester, Portsdown, Bournemouth, The Meon and The Isle of Wight. The Diocesan areas shall be divided into Districts, each being self-administered. The administration of the Guild shall be vested in an Executive Committee (of whom seven shall form a quorum) consisting of: the Master (Chairman), Vice-Master, immediate Past Master, Honorary General Secretary, Honorary Treasurer, Honorary Recorder of Peals, Honorary Librarian and Archivist, Honorary Report Editor, Minute Secretary, Public Relations Officer, Child Protection Officer, Central Council Representatives, the Trustees of the Bell Restoration Fund, the Convenors of sub-committees, and District Representatives (who shall normally include the District Secretaries or their proxies) to be elected by the annual District meetings. Districts with more than 100 members (associate and ringing) may send one additional representative. The Executive Committee has the authority to co-opt members on to the committee for special purposes, delegate any of its duties to sub-committee(s) or co-opted members and fill any vacancies arising among officers until the next General Meeting qualified to elect officers. The Executive Committee shall meet at least once annually. Reasonable expenses of members attending meetings of the Executive Committee may be defrayed by the Guild. Executive Committee shall have the power to veto any election, or to dismiss a member for misconduct; but the person concerned shall have the right of appeal to the next Annual General Meeting of the Guild. In the event of a dismissal, such members shall be debarred from further re-election for such period as the Executive Committee may determine, unless reinstated at the Annual General Meeting of the Guild. A proportion of each subscription shall be allocated to one or more ringing-related charities. The amount of the subscription and proportion allocated to each ringing-related charity 3for each class of membership shall be determined from time to time at the Annual General Meeting of the Guild, or at a Special General Meeting called for the purpose, and published in the Guild’s annual report. Each District Treasurer shall receive ALL subscriptions of members in his District, pay from the funds all the expenses of the District, and at the end of the year prepare a balance sheet which shall be independently examined and, after presentation to the Annual District Meeting, forwarded to the Honorary Treasurer of the Guild not later than 28th February, together with the proportion of the subscriptions due to the Central Fund and Guild Bell Restoration Fund (Rule 15). District funds may only be expended for administration and for such purposes as are sanctioned by these rules or by a General Meeting of the District concerned. First charge on District funds after administration shall be for instruction (whenever possible) in change ringing. If District funds prove insufficient for this charge, the deficiency may be met in whole or part by a contribution from the Central Fund. The instructor(s) may claim travelling expenses and any other out of pocket expenses. Seventy per cent (fifty per cent from the Channel Islands District) of all subscriptions, excluding the proportion allocated to each ringing-related charity, shall be allocated to a Central Fund for the general administration and expenses of the Guild and for any other purpose that the members in General Meeting may direct. The Honorary Treasurer shall receive, not later than 28th February, all monies due to the Central Fund and Guild Bell Restoration Fund and shall be empowered to disburse all accounts properly incurred in the central administration of the Guild, either in cash payments or by cheques drawn on the Guild current banking account, which cheques he shall be authorised to draw. He shall maintain a statement of central accounts. The remaining thirty per cent of subscriptions, excluding the proportion allocated to the Guild Bell Restoration Fund, shall be retained by the Districts, except in the case of the Channel Islands District where fifty per cent is retained, for the purposes of meeting expenses of the Districts incurred under these rules. If there be any deficiency in the Central Fund, the Annual General Meeting of the Guild may, by resolution, require the Districts to meet the deficiency in proportion to the amount of each District’s receipts retained that year. At any time during the year the Executive Committee may, if necessary, direct the District Treasurers to pay over to the Central Fund all, or part of, the proportion of subscriptions actually received and due to the fund. Districts are requested to compile a list of instructors who are willing to assist towers (Rule 14). Local secretaries shall forward an annual report on the activities of their tower to their District Secretary not later than 4th January of the following year. Each year the Honorary Report Editor of the Guild will issue a questionnaire to each District Secretary for completion. District Secretaries shall forward the completed questionnaires and an annual report on the activities of their District to the Honorary Report Editor for publication, not later than 28th February. Funds permitting, an annual report shall be published, the contents of which shall be at the discretion of the Executive Committee. A copy will be supplied free to all except probationary and compounding members.